It looks like I made it to Mr Linky first. I'm not anxious or anything. Really. *wink* Thanks, Robin! Glad you are diving in once again! I'm still reading in 2012 but stopped posting after the 52 - got busy with other things here. Really fun! Looking forward to the "Dusty Books" challenge for 2013 - have plenty of those and I need to clear out my bookshelves! Thanks for hosting this - so happy I found you! Happy you are joining in! I'm not sure if I'll make it to 52 (or beyond) again this coming year, but I like posting and seeing what others are reading. The best you can do is try and see where it takes you. Happy Reading! so excited to be taking this challenge again this year. This will be my third year with you and loving it. Finishing up my 2012 books and look forward to starting again in 2013.. I may participate in the Dusty Book challenge as well as the Faith Challenge. Sounds fun! Glad you are jumping in again. Happy reading! I signed up and then decided I want to use Blogger instead of Wordpress. How can I change my linky? I'll delete it and you can repost. I hate Wordpress. Blogger is really much easier. I am going to do it in the coming year!!! I am currently 16 books behind for 2012... one a day to make the goal this time around seems too much, especially with Christmas coming up. Good luck to everyone who is participating! Just do the best you can, don't worry about the numbers and if you enjoyed your reading, that's the most important part. Glad you are joining in. 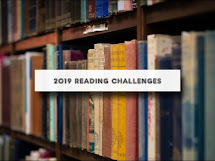 Looking forward to joining this challenge this year and seeing what everyone else is reading. Thanks for keeping this going. My pleasure and happy to have you! This is my first book challenge and my first attempt at blogging. Good luck to everyone! Woot! That's wonderful. Have fun, happy reading and look forward to hearing about your reads. I'm back for another round! I've actually read more than 52 books in 2012--but I have been sticking strictly to the reporting one book for each week schedule....so I've got to get a few more books read before I'll declare myself done. I'm coming back for another year! 2012 has been such a good reading year for me! Thanks so much for hosting this each year! You are so welcome and glad you are back again. Welcome to the challenge. Look forward to hearing about your reads. I'm signing up on time this year! I think I will participate in the Dusty Challenge, too. Yeah! Good luck with your reads! This is my first attempt that the challenge after watching it for two years. I'l also rebooting my blog along with it, after a first failed attempt. Here's to being more productive in 2013! I think the Classics will be my mini challenge for the year. So glad you finally decided to join in! The challenges look like a lot of fun! Looking forward to the challenge! I have the first book ready to go! Great! Look forward to hearing about it. I thought it was insane but I just read about a lady who read a book a *day* for a year. So here I am. LOL! Welcome to the challenge. Have fun! Looking forward to this challenge and all I will learn from it! Great! Have fun and look forward to learning with you. Great! I'll make sure the link points in the right direction. I'm so excited for this year! I want very much to participate! I don't have a blog (or time to blog), but I have a twitter. Should I link it, and is there a preferred hashtag I should use? Welcome to the challenge. The hashtag for twitter is #52booksin52weeks. You can link to your tweets if you choose or just leave a comment telling about your reads. First time taking this challenge, but I'm so excited to start reading! Excellent! Welcome to the challenge. Look forward to hearing about your reads. My first time on this challenge too, looking forward to it! Awesome, glad to have you join in. Welcome and happy reading. Just made my first blog to keep track of my books. Thanks Robin! Great. I'll be stopping by. I think this will be a fun challenge, and a challenge for sure LOL!! Oh shoot, I already screwed up. Will you remove #62 (Natalie, Love Wins). I posted on the wrong post!!! No problem. Will take care of it this afternoon. Every Monday starting tomorrow I'll link my favorite book review of the week in my blog. I don't know if anyone has done it before or is doing it but I'm hoping to encourage meaningful discussions. You never know, the review might persuade you to pick up the book even if it's outside your normal genre. Thanks for hosting Robin! Although I officially joined for the second year I just got around to writing my official 2013 Challenges List post so I linked that up. I am going to try to participate in the Dusty Mini Challenge and the Inspiration Mini Challenge as well this year! I did not have a chance to write a wrap-up but I love the questions you did and hope to do better at that type of thing this year! My pleasure. Glad to see you diving in for another round. I didn't make one up with html. Just copy and paste the picture widget to your computer. Add a image gadget and use the www.read52booksin52weeks.com for the link. This is my first book reading challenge. I know I am a bit late but I would like to start right off. I am currently reading Paulo Coelho's Alepha which I plan to finish by the weekend. I can make up for these last 3 weeks by doing a double in forthcoming weeks. I am excited to be here. It's never too late to start. Enjoy Alepha and look forward to hearing what you think of it. Better late than never, I'm a little behind but all year to catch up! Yeah! Glad you are joining in. Welcome. I'm sure you'll have no problem catching up! I took the challenge and only read 27 books last year. Life gets in the way! I am going to try again though this year! I actually just finished blogging about the last 4 books I read last year... Oh well! Glad you decided to jump in again. Hi Seltrie - any books you have read in 2013 will count.